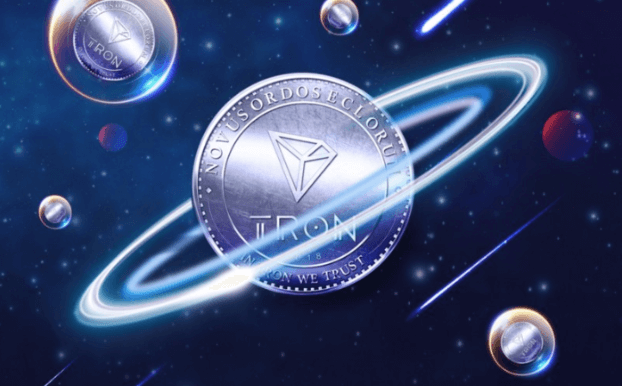 TRON DApps have seen a rise in popularity over the last year, with recent data showing that active users spend, on average, $102 TRX per day on DApps. Apart from the money spent on the apps, there has been a growing number of DApps built on the platform. TRON, one of the largest blockchain-based smart contract platforms by market capitalization, has become one of the “fastest growing” organizations in the crypto industry. TRON’s acquisition of BitTorrent was a landmark in their growth story (though it should be noted that BitTorrent’s founder quit TRON ahead of the acquisition). The latest data to play around TRON comes from DApp Review. In an Apr. 1st tweet, the website pointed stated that more than $11 million was cumulatively spent on Tron DApps in a 24-hour period. According to the aggregator, over 70,000 users spent more than 450 million TRX on the platform’s 230 DApps. The DApps that generated the most revenue were TRONbet, TronBank, and TRONRAIDER1, where users spent $5.4 million, $1.6 million, and $760,000, respectively. However, the DApp that saw the highest number of users was Crazy Dogs Live. The game recorded just under 6,500 active users between Mar. 31st and Apr. 1st. In comparison to TRON’s competitors, EOS DApps appear to attract more users than TRON DApps but have significantly less transaction volume. Meanwhile, Ethereum based DApps appear to have less users and volume, possibly as a function of higher transaction costs on the Ethereum network. That said, it’s disputed whether TRON DApps are superior to their counterparts merely by merit of volume—with both of these metrics heavily disputed by respected members of the crypto community. While the amount of cryptocurrency being spent on TRON DApps is noteworthy, technical aspects of the blockchain’s decentralized ecosystem are also improving, said the announcement. According to the latest weekly report published by the TRON Foundation, the platform currently has 236 DApps, up from 180 since Mar. 1st. The report also noted there are over 500 smart contracts, 14 decentralized exchanges, and 54 different games on the platform. On Mar. 29th, the mainnet had 2.2 million accounts registered. All these figures are up considerably from last month. The project claims that its growth is an “incredible feat.” It some sense it is incredible that TRON has been able to position itself as a leading blockchain platform, especially in the DApp space, in the less than two years its been in existence. The post TRON DApps gaining market share? Active users spend over $100 a day appeared first on CryptoSlate.